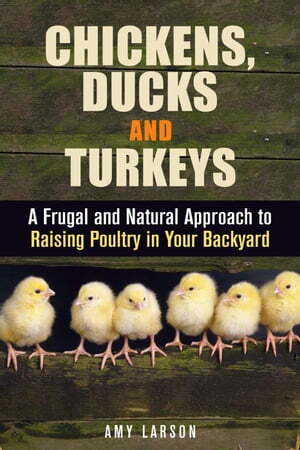 Collins Booksellers - Chickens, Ducks and Turkeys: A Frugal and Natural Approach to Raising Poultry in Your Backyard by Amy Larson, 9781386548874. Buy this book online. Do you want access to your own guaranteed suply of farm fresh eggs? Perhaps you are looking for a supply of meat or an easy, friendly pet for your young children. Chickens and other poultry meet all these needs and more making them amongst the most versatile of all farmyard animals. Because they are so self sufficient and need very little space to grow healthily many people, even in the city, are starting to keep chickens in their backyard. With a little investment and a lot of love you can build a flock that will keep you in eggs and meat for years to come.